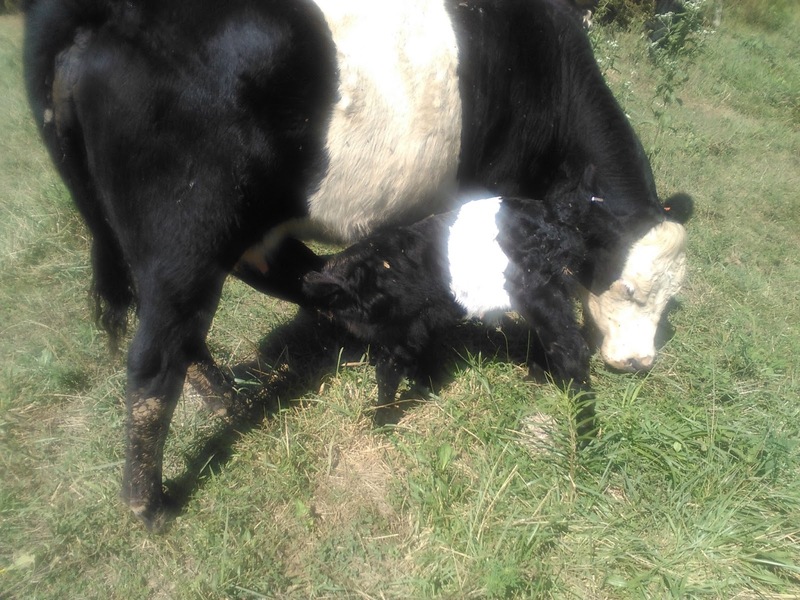 This is "Sidesaddle" and her heifer calf from earlier this year. Note the good body condition just a week or so after birthing. Enough articles have been written about the proper way to select and develop replacement heifers to fill a large barn. Guess what? It’s not really that complicated. I don’t know why everyone is so determined to complicate simple matters, but they are. Weaned heifer calves that have been saved for replacement females will not generate any income for two years. Therefore, ranchers simply cannot afford to invest much money into their development. Rather than place them in a high-input, artificial environment and haul expensive feed to them, we need to treat them like the cows we hope they will become. They need to be out foraging for themselves, with minimum inputs. If a heifer can’t do this, she probably won’t make an efficient and profitable momma cow. We suggest you retain nearly all of your heifer calves, rough them through the winter and expose them to a bull for a very short period of time. This system will allow only your most efficient and early maturing heifers to advance into the cowherd. Why not let the environment sort out your best replacement heifers? The remaining heifers can be treated as stockers and sold for a profit. If you breed your heifers to calve when God intended them to calve, you will be amazed at the high number that will conceive during the first 21 days of the breeding season. Even heifers that were cheated during the winter months are able to catch up with two to three months of good green grass prior to breeding. If you end up with more bred heifers than you need, you can sell the extras for a profit. I suggest you let the buyer select from the herd, because he won’t be able to pick out the best ones any better than you. So what about selection? You and I are NOT capable of doing as good a job of selecting replacement heifers as the environment can do. Form will follow function if we stay out of the way. However, there are a few things that deserve to be looked at. Here is my list. 1. Get rid of the outliers, dinks and freaks. In many herds, this includes some of the tallest heifers. 2. Watch disposition. Cull those with flighty and/or nervous dispositions. 3. Look at feet and leg structure. Any problems you see now will only get worse. 4. Select for heifers that shed the quickest. Cull heifers with dull, dead looking hair. This is an excellent indicator of health and adaptability. 5. If you still think you need to do some more culling and/or selecting, you can look at conformation. I prefer heifers that are shorter, thicker and easier fleshing. The more pounds per inch of height, the better. I cull heifers that look long, because that means they are gutless. Contrary to what show ring judges tell us, body length is an optical illusion. I also cull heifers that are coarse and/or masculine in appearance. Keep the pressure on… We run our replacement heifers with our mature cows. They receive no special care. We calve our heifers out on open range with the cowherd. This continues to force the inefficient and unadapted females out of our program. The sooner you identify the heifers that can’t make it, the better. Every replacement female should have to earn a place in the cowherd.